Tom Brady and the New England Patriots will take on the Los Angeles Rams in Atlanta for Super Bowl LIII, and as usual we can expect the commercials to create just as much buzz as the game. Coca Cola's campaign takes a particular interesting route by focusing on themes around inclusion and diversity. This message is especially important in the NFL — the league is still facing backlash over Colin Kaepernick not having a new home on an NFL team, with many claiming it’s because he took a knee during the U.S. National Anthem in silent protest against police brutality against blacks in America. A Coke Is a Coke shows a more playful side of the brand, with animated characters of all kinds enjoying a Coke. 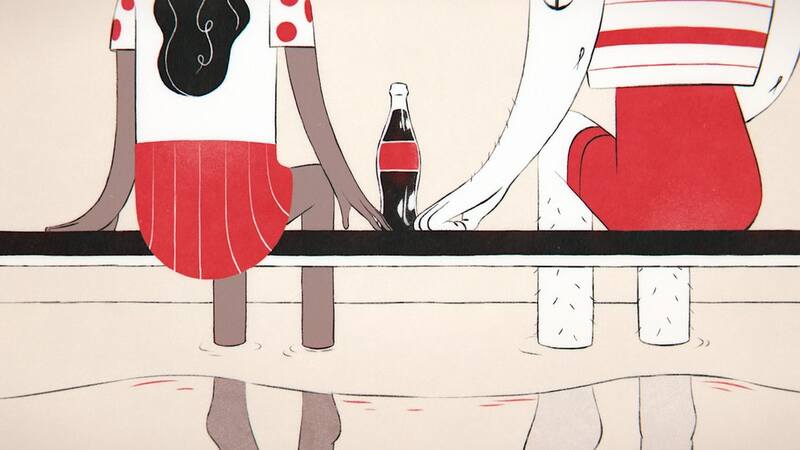 Coke has had a long history in creating memorable and meaningful ads throughout the past 130 years, always standing behind their message of togetherness in their iconic ads like It’s Beautiful and The Wonder of Us. The new ad also pays tribute to Coke’s hometown of Atlanta, GA, where this year’s Super Bowl is being held. Since 1886, Coca-Cola has been a core part of the city’s transformation to become more inclusive and welcoming, including making sure that Dr. Martin Luther King Jr. was recognized by Georgia for winning the Nobel Peace Prize.